CIT vs. S.K. Transformer (P.) Ltd.
Ashok Bhushan And Mahesh Chandra Tripathi, JJ. M.C. Tripathi, J. – Heard Sri Shambhu Chopra, learned counsel for the appellant and Sri Nitin Kesharwani, learned counsel appearing for the assessee. 2. 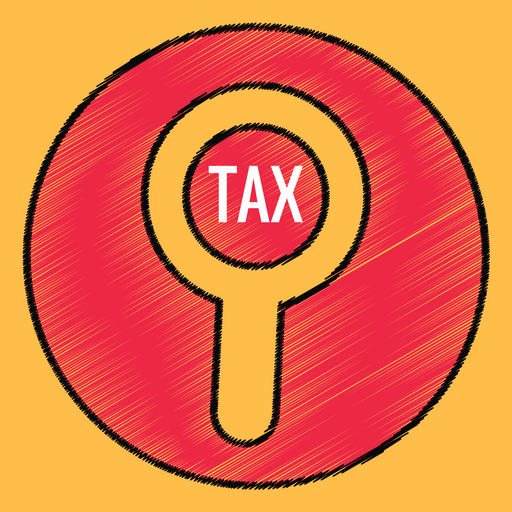 This appeal under section 260(A) of the Income Tax Act, 1961 (herein after called the Act, 1961) has been filed against the judgement and order dated 28.05.2005 passed by the Income Tax Appellant Tribunal, S.M.C. Bench, Allahabad (herein after called the Tribunal) in I.T.A.No.390/ALLD/03, for the assessment year 1997-98. 3. The assessing officer by assessment order dated 02.06.1999 rejected the claim of the assessee claiming 100% deduction under Section 80IA(2)(iv)(c) of the I.T. Act, 1961. “1. Whether on the facts and circumstances of the case, is the Tribunal legally correct in its view that the assessee’s business is an industrial undertaking within the meaning of Section 80IA of the I.T. Act, 1961. 6. Sri Shambhu Chopra, learned counsel for the Revenue has submitted that in present facts and circumstances of the case the tribunal has erred and wrongly interpreted Section 80IA(2)(iv)(c) of the I.T. Act, 1961 and the assessee company was, infact, not indulging in any activities or producing/manufacturing the articles and no new product has come out from their processing work, infact, it only repair the transformers and as per the provisions of the section 80IA(2)(iv)(c) of the I.T. Act 1961, while confirming the benefit of 100% deduction, the company must manufacture new product and while processing, manufacturing or producting new things, articles or product may come out. He has also cited the judgement of Hon’ble Apex Court, Tamil Nadu State Transport Corporation Ltd. v. CIT  252 ITR 883. By which he has contended that the tyre retreading does not amount to new production and as per the Hon’ble Apex Court, no benefit can be conferred under section 80 HH of the I.T. Act, 1961. “From the decision of the High Court (see (1999) 239 ITR 375) to the effect (I) that for the purposes of the relief under section 80HH of the Income-tax Act, 1961, there has to be production which brings into existence a new article; and (ii) that when a tyre wears out, its life might be renewed by retreading but a different and distinct commodity cannot be said to have come into existence as a result of retreading, and, therefore, the business of retreading of tyres did not amount to production of a new article entitling the assessee to the relief under sections 80J and 80HH, appeals were preferred by the assessee to the Supreme Court. The Supreme Court dismissed the appeals. Decision of the Madras High Court in CIT v. Madurai Pandian Engineering Corporation Ltd.  239 ITR 375 affirmed. Civil Appeals Nos. 4383 and 4384 of 1999. Appeals by Special leave from the judgment and order dated March 2, 1998, of the Madras High Court in T.C. Nos. 1820 and 1821 of 1986. The judgment of the High Court is reported as CIT v. Madurai Pandian Engineering Corporation Ltd.  239 ITR 375(Mad.). R. Venkataraman, Senior Advocate (V. Prabhakar and Ms. Revathy Raghavan, Advocates, with him), for the appellant. Dr. V. Gauri Shankar, Senior Advocate (Rajiv Tyagi, B. V. Balaram Das and Ms. Sushma Suri, Advocates, with him), for the respondent. 7. Sri Shambhu Chopra, learned counsel for the Revenue has also placed reliance in the judgement of Hon’ble Apex Court, Aspinwall & Co. Ltd. v. CIT  251 ITR 323/118 Taxman 771. By the said judgement he has tried to place the process of manufacturing coffee beans from the raw berries amount to manufacturing activities and coffee beans produced from berries for distinct activities and for new commodities and the assessee is rightly held to be entitled the benefit under Section 32A of the Act. He has also placed that the word “manufacture” has not been defined in the Income-tax Act. In the absence of a definition, the word “manufacture” has to be given a meaning as is understood in common parlance. It is also contended that it is to be understood as meaning the production of articles for use from raw or prepared materials by giving such materials new forms, qualities or combinations whether by hand labour or machines. If the change made in the article results in a new and different article, then it would amount to manufacturing activity. ‘The Tribunal held that in this process assessee was involved in the activity of manufacturing the coffee beans from the raw material plucked from the plant. “We find that all the nine stages of the process do not show any kind of change or a commercially different commodity is not seen to be passing through the various stages of the process. It cannot be ignored that in common parlance, ‘coffee’ means, coffee powder, a beverage consumed as either a hot or cold drink. At no stage, this colour combination between manufacture and production has its manifestation”. Provided that no deduction shall be allowed under this section in respect of -……..
(2) The ship or aircraft or machinery or plant referred to in sub-section (1) shall be the following, namely:-………..
(iii) in any other industrial undertaking for the purposes of business of construction, manufacture or production of any article or thing, not being an article or thing specified in the list in the Eleventh Schedule.). The short point for consideration is whether the High Court was right in coming to the conclusion that the assessee was not involved in any manufacturing or production activity in the process of curing the coffee. The word “manufacture” has not been defined in the Act. In the absence of a definition of the word “manufacture” it has to be given a meaning as is understood in common parlance. It is to be understood as meaning the production of articles for use from raw or prepared materials by giving such materials new forms, qualities or combinations whether by hand labour or machines. If the change made in the article results in a new and different article then it would amount to a manufacturing activity. “Commonly, manufacture is the end result of one or more processes through which the original commodity is made to pass. The nature and extent of processing may vary from one case to another, and indeed there may be several stages of processing and perhaps a different kind of processing at each stage. With each process suffered, the original commodity experiences a change. But it is only when the change, or a series of changes, take the commodity to the point where commercially it can no longer be regarded as the original commodity but instead is recognized as a new and distinct article that a manufacture can be said to take place”. Adverting to facts of the present case, the assessee after plucking or receiving the raw coffee berries makes it undergo nine processes to give it the shape of coffee beans. The net product is absolutely different and separate from the input. The change made in the article results in a new and different article which is recognized in the trade as a new and distinct commodity. The coffee beans have an independent identity distinct from raw material from which it was manufactured. A distinct change comes about in the finished product. The submission of the learned counsel for the Revenue that the assessee was doing only the processing work and was not involved in the manufacture and producing of a new article cannot be accepted. The process is a manufacturing process when it brings out a complete transformation in the original article so as to produce a commercially different article or commodity. That process itself may consist of several processes. The different processes are integrally connected which results in the production of a commercially different article. If a commercially different article or commodity results after processing then it would be a manufacturing activity. The assessee after processing the raw berries converts them into coffee beans which is commercially different commodity. Conversion of the raw berry into coffee beans would be a manufacturing activity. For the reasons stated above, we are of the opinion that the High Court was wrong in its opinion that the processing of the raw berries into coffee beans ready for consumption would not be a manufacturing activity disentitling the assessee to the investment allowance provided under Section 32A of the Act. He has also placed reliance in the judgement of Hon’ble Apex Court in the case of CIT v. Relish Foods  237 ITR 59/103 Taxman 392. (i) the assessee’s business involves ‘production’ ? The assessee claimed the allowance under Section 80HH of the Income-Tax Act, 1961, on the ground that it was an industrial undertaking that manufactured/produced articles. It would appear from the judgment of the Tribunal that the assessee bought shrimps, peeled them and froze them. There is no other material on the record which indicates what was done by the assessee and how it was done. The Income-Tax Officer negatived the claim. The Commissioner of Income-Tax (Appeals) and the Tribunal upheld the claim. We find from the judgment of the Kerala High Court in the case of Marwell Sea Foods (supra) that Marwell Sea Foods had placed before the taxing authorities a detailed description of the process by which prawns were prepared for export and that the appellate authorities had understood the various stages through which the prawns passed as processes involving production or manufacture. The High Court was of the view that the Tribunal having affirmed the finding of the A.A.C., it should be extremely slow to doubt the correctness of the finding unless it was perverse. As has been pointed out, there is upon the record before us no detailed description of what the assessee does to the shrimps it buys, other than the bald statement that it peels and freezes them. We cannot accept the statement at the Bar that the process to which the assessee puts the shrimps is the process that Marwell Sea Foods used in regard to its prawns. Apart therefrom, there is the judgment of this Court in Sterling Foods v. The State of Karnataka and Another,  63 S.T.C. 239, where it has been held that processed or frozen shrimps and prawns are commercially regarded as the same commodity as raw shrimps and prawns. When raw shrimps and prawns are subjected to the process of cutting of heads and tails, peeling, deveining, cleaning and freezing they do not cease to be shrimps and prawns and become other distinct commodities. There is no essential difference between raw shrimps and prawns and processed or frozen shrimps and prawns. In common parlance they remain known as shrimps and prawns. This judgment in Sterling Foods (supra) has been rightly applied by the Bombay High Court, in the case of CIT v. Sterling Foods (Goa)  213 ITR 851, to a claim under Section 80HH of the Income-Tax Act and it has been held that the activity of processing of prawns is not an activity of manufacture or production. We are of the view that the judgment of this Court aforementioned in Sterling Foods (supra) is apposite to the question that we have to decide and, upon the material that is before us, we must reverse the view taken by the High Court in the judgment under appeal. Learned counsel for the assessee submitted that the matter should be remanded to the appropriate authority to enable the assessee to lay before it evidence in detail of what the purchased shrimps were subjected to. We think it is far too late in the day for the assessee to do that in relation to the assessment year with which we are concerned. The appeal is, therefore, allowed. The judgment and order under appeal is set aside to the extent it deals with the said question. The said question is answered in the negative in relation to both its parts and in favour of the Revenue. 10. Sri Nitin Kesharwani, learned counsel appearing for the assessee has contended that Commissioner has rightly held that the definition of the word Industrial Undertaking to which section 80IA applies, includes ‘processing of goods’ also and rightly held that the processing of goods can be considered alongwith manufacture or production of goods while allowing deduction in respect of profits of the industrial undertaking under section 80IA of the I.T. Act, 1961 and the same has rightly appreciated by the Tribunal and the Revenue has no case and the assessing officer had wrongly interpreted the provisions of section 80IA of the I.T. Act while not according 100% benefit to the assessee. 11. We have heard the rival submissions of the parties and perused the record. The assessee is a Private Ltd. Company and same is repairing and manufacturing transformers. The business as its first transaction started taking place since 03.11.1994. The assessee return of income showing as nil was filed on 30.11.1997 by claiming 100% deduction under section 80 IA (2)(iv) (c) of the I.T. Act, 1961. The Deputy Commissioner of Income Tax Circle-I, Gorakhpur had completed the assessment under section 143(3) of the I.T. Act 1961 on an income of Rs. 3,72,156/- against the nil income. The assessing officer stated that company had been engaged in repairing of old transformer and it did not manufacture new transformer, the assessee had wrongly and incorrectly mentioned in column 3 and part 4 of the income tax return that its nature of business or profession of “repairing and manufacturing of transformer”. 13. The assessee had put his case before the assessment officer that the company has been manufacturing aluminium HT/LT Leg Coils which are used in old burnt transformers and on the basis of the said manufacturing the assessee had claimed 100% deduction under section 80IA(2)(iv)(c) of the I.T. Act, 1961. 14. The Deputy Commissioner of Income Tax, the assessing officer, had considered the case of the assessee and held that assessee has not manufactured or produced transformer oil and scrap, rather has purchased the T/oil from market and only centrifuging has been done, but no new article or thing has been produced/manufactured, only processing has been done. The scrap has been obtained from the old/burnt transformer coils, which were made of aluminium wires of different amperes. It does show that the scrap has not been manufactured/produced. Certain more small part has been purchased and have been used in manufacturing aluminium HT/LT Leg Coils. 15. Finally, the assessing officer had turned down the plea of the assessee of 100% deduction under section 80IA of the I.T. Act, 1961 on Rs.10,87,156/-and had treated that the assessee had concealed the income and furnished inaccurate particulars of its total income, whereas the assessee itself has mentioned in part-IV of the return in column 3 that nature of business or profession is “Repairing and Manufacturing of Transformers”, whereas it only repairs the old transformer and does not manufacture it. 16. The assessee filed an appeal before the Commissioner, which was decided in favour of the assessee vide order dated 23.05.2003 and held that the assessee was entitled for the benefits under section 80IA of the I.T. Act, 1961, which includes “processing of goods also” and held that the processing of goods can been considered alongwith manufacture or production of goods, while allowing deduction in respect of profit of industrial undertaking under section 80IA of the Act, 1961 had allowed the deduction to the entire profit assessed in the assessment order. 17. The Revenue had filed I.T.A.No.390/ALLD/03 before the Tribunal and the Tribunal also taking the same view as taken by the Commissioner has allowed the appeal in part and held that deduction under section 80-IA was allowed to the transformer oil, as such was not sale, but was a part of assembly of transformer, therefore, the same, was under the purview of section 80IA disallowed deduction under section 80IA of the Act 1961 on scrap and the labour charges for the sale of scrap. 19. As per the provision of the section 80IA of the Act, 1961, the same would be applicable to a company, which manufacture or produce any article or things. In the present matter, the assessee company perform work in the nature of business for repairing and manufacturing of transformer. It has also been contended by the assessee that the company has been manufacturing aluminium HT/LT Leg Coils, which were used in old burnt transformers and in this regard, it had also submitted in detail before the assessing authority. The company did not manufacture or produce transformer oil and scrap, rather it has purchased the T/Oil from the market and only centrifuging has been done and no new article or things has been produced/manufactured, only processing has been done. In the processing scrap, it had obtained from old/burnt Transformers Coils, which were made of aluminium wires of different amperes. It also appeared from the record that the scrap has not been manufactured/produced. Certain more small parts have been purchased and have been used in manufacture of new HT/LT Leg Coils. It also appears that the assessee has purchased the transformer oil from the market and after centrifuging the transformer oil by centrifugal machine, the centrifuged transformer oil has been made useful in old/burnt transformer. It is a sort of processing only and can not be turned as manufacture of centrifuged transformer oil. To appreciate the controversy it is necessary to elaborate the meanings of centrifuge and processing. 20. It is apparent that the assessee did indulge in processing activities, but no manufacture or production of new articles or things is involved in this processing. 21. The assessee has also taken a stand that the word ‘manufacture’ and ‘produce’ has been defined in clause (iii) and (vi) of Expl. below Section 10-A(8) and clause (iii) & (iv) of Expl. Below Section 10-B(7) of the I.T. Act, while discussing the deductions under the said sections in relation to the “Newly established Industrial Undertakings in Free Trade Zones” and “newly established 100% Export Oriented Undertakings” respectively. On this analogy, it has been argued that processing of articles or things done by assessee should be treated as “Manufacture” of new article or thing. Let us examine the inclusive definition of manufacture. 22. The explanation of both the above sections begins with the opending limb “For the purpose of this section” and, therefore, it can not be reasonably construed that this inclusive definition of “Manufacture” or “Produce” as enuciated and elaborated in Section 10-A and 10-B of the I.T. Act is applicable to provisions of section 80-I or section 80-IA because these words have been defined with a particular purpose or with reference to the limited/particular context i.e. free trade Zone and 100% Export Oriented Undertakings. Although prima-facie, there appears to be a discrimination yet this is a reasonable/discrimination because it is well within the competence of the legislature to define a word for specific purposes or object or section and not for general connotation where ever these words occur in the I.T. Act. Had this been the intention or object of the legislature/Parliament, the word “Manufacture” world also have been defined in section 80-I or 80IA in the same manner or a reference must have been made in section 10-A or 10-B of the I.T. Act because these sections are on the stature for the last 7-8 years or even some more years with certain new charges. ‘The presumption, says Craies “that the same words are used in the same meaning is however very slight, and it is proper” if sufficient reason can be assigned to construe a word in one part of an Act in a different Sense from that which it bears in another part of an Act.”………….. Since the word “Manufacture” and “produce” has not been defined in section 80-IA and there is no specific mention in it that the definition of these words as given in Section 10-A and 10-B will apply to section 80-IA, the Dictionary Meaning and understanding of common parlence has been taken/contrued to be the logical/reasonable meaning/interpretation/definition. 21. In south Bihar Sugar Mills Ltd. v. VOI AIR 1968 SC 922, the Hon’ble Supreme Court has held that when any Act does not define a word used in that Act the ordinary Dictionary meaning, should be taken. “Manufacture” (Verb)-bring (Material) into from fit for use; produce (articles) by labour esp. by machinery on large scale. 23. In CIT v. Tax Locomotive and Engg. Co.  68 ITR 325, assembling of automotive bus or truck chassis from component parts, so as to convert into an automobile has been held to amount to manufacture. 24. Blending of different kinds of ore possessing different chemicals and physical composition, in order to produce ore of a particular specification has not been considered/held as a “Manufacture” operation because commercially no new and distinct commodity from the original ore of different specification has been produced/manufactured although the entire activity of the assessees was brodly divisible into seven different operations; such as dressing, washing, ore handling, screening and blending it etc. See Chowgule and Co. (P) Ltd. v. UOI-AIR 1981 SC 1014. “To subject to a particular method, system or technique or preparation, handling or other treatment to effect a particular result put through a special process. 25. Bare perusal of literal meaning of processing, it is clear that by means of continuous and regular action or succession of action taking place or carried on in a definite manner and leading to the accomplishment of some result then only some benefits could be conferred in favour of the assessee. 26. From the aforementioned facts and circumstances of the case, it is clear that definition of processing would not be applicable in the present case, especially in the background that the transformer oil has been purchased by the assessee from market and centrifuging had been done by centrifugal machine in order to make it usable in Transformer, but in substance no new substance or articles or things has been emerged from the said processing, only some special processing or treatment had been given to transformer oil through a particular method. Therefore, it can not be construed that due to this transformation or activity there was change in the substance and new substance or article had come out. 27. Therefore, in the aforementioned facts and circumstance, it is clear that the assessee did not indulge in any manufacturing activities or producing any new articles or things and, accordingly, the assessee is not entitled to the benefits of 100% deduction under section 80IA(2)(iv)(c) of the Act, 1961. 28. Thus, we answer both the question in favour of the Revenue and against the Assessee. The judgement and order of the Tribunal dated 28.05.2005 is hereby set-aside. This entry was posted in Section 80-IA and tagged 363 ITR, Allahabad High Court, In favour of Revenue.